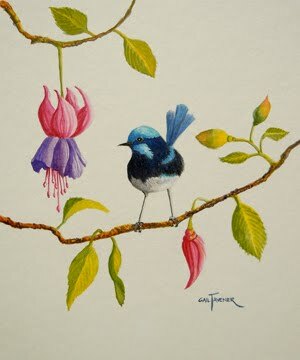 BLUE WRENS AND FUCHSIAS NO.1 AND NO.2 These deliciously small watercolour paintings were recently exhibited at St. John of God annual art show in Bendigo. They both sold on opening night. 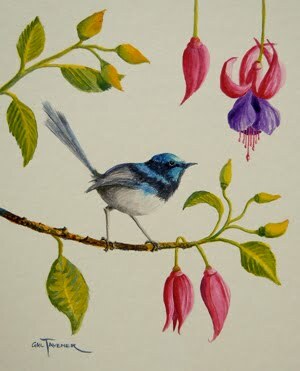 More wrens and other birds are now being painted, so watch this space for more Australian Birds and animals coming soon. Please contact me on gtavener@tpg.com.au for information on how to purchase a painting from this blog site.